I'm not feeling the wheels, either. I like them. I'll be looking to do a trade once they start hitting the streets. I have no idea why Dodge does not put on bigger wheels with a car that has this much power. And rumors have it getting a bump in power sometime in the future. If you are going to have fun with a Hellcat on the streets you will need bigger wheels. 9.5" are just to small for traction. GM and Ford does it right with their top of the line HP cars. 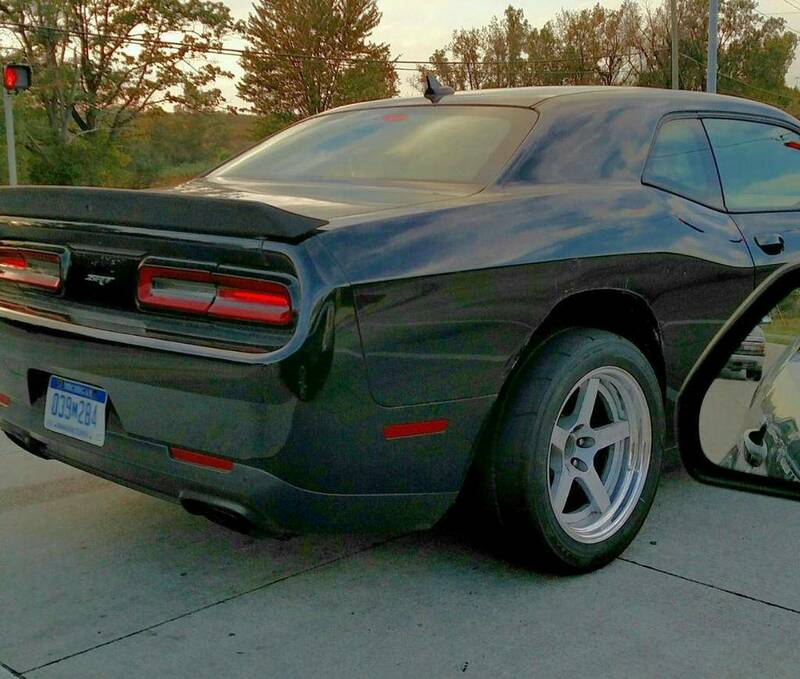 These Challenger test cars have been spotted and looks like trying out bigger wheels with fender flares or possibly could be AWD on the way for 18. Location: Pennsylvania . . . . I like SRT4's, but I'm not a fan of a Charger looking like one. New Laguna Leather seat logo.. Does the Sepia look lighter and less orangey for 2017? I likey this. Very nice looking seats. I can deal with the wider wheels/tires. But not the fender flare. The wider wheels give ti that old school look. The fender flares...not. No way around the flares though, they can't release a car with tires sticking out. Not feeling the gray with black. Looks cheap. That's the official SRT logo with the Hellcat symbol in the back? You can buy these now but they're aftermarket. Yes this is the new rear Hellcat emblem but a little different than aftermarket. Cool going to wait for an OEM version to slap it on mine.